Each year, people worldwide take action to eliminate gender-based violence during the international 16 Days of Activism, held from 25 November to 10 December. In 2018, nearly 500 people signed up to be part of this movement, by taking the 16 Days Activist Challenge. 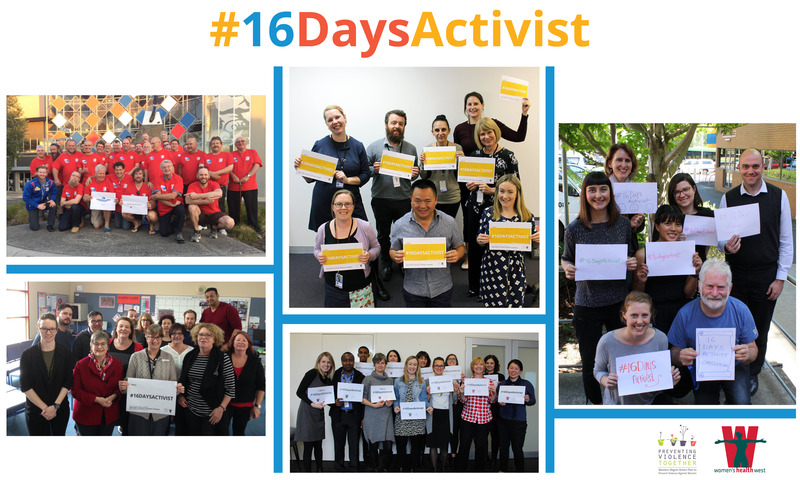 The people who signed up as 16 Days Activists pledged to take action to promote gender equality and prevent violence against women over 16 days. We helped by providing a suggested list of 16 actions to choose from, and a few activists decided to make up one or two of their own. The 16 Days of Activism might be finished, but it’s never too late to take action to end violence against women. If you’re wondering what you can do to help end violence against women, here are some ideas of where to start. 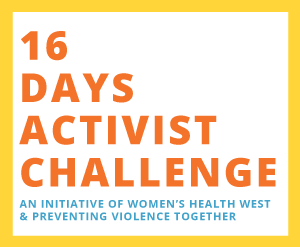 If you have any questions about the 16 Days Activist Challenge or would like to sign up to take part in this year’s challenge, please get in touch with us via email or by calling 9689 9588.